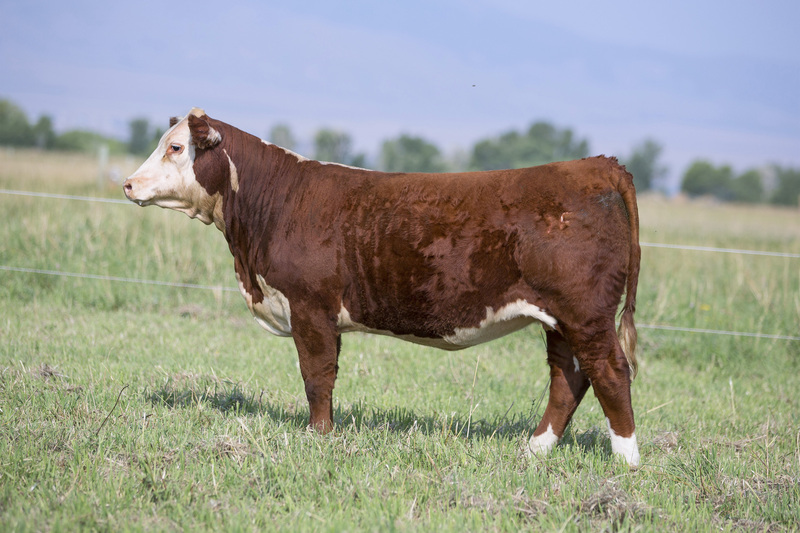 Join us September 22nd 2018 at the ranch in Townsend, MT for the close out of our Inaugeral Montana Made Female Sale. 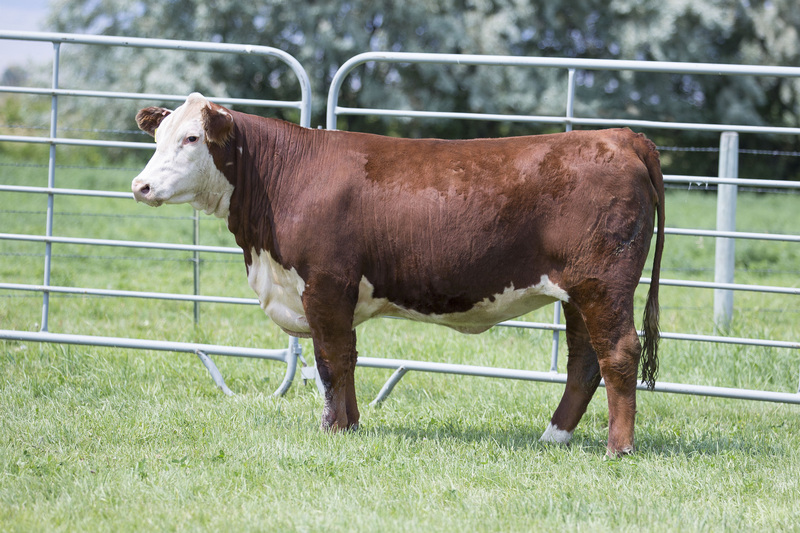 We will be selling Bred Replacement Heifers, Open Yearling Heifers and Weaned Heifer Calves. We welcome guest consignors Bar Star Cattle. 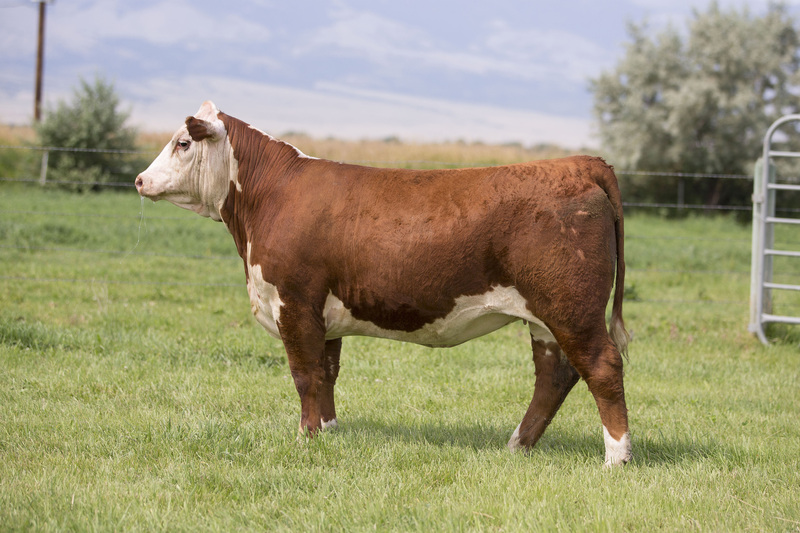 Visit smartauctions.co to sign up as a bidder and register for Ehlke Herefords auction alerts . 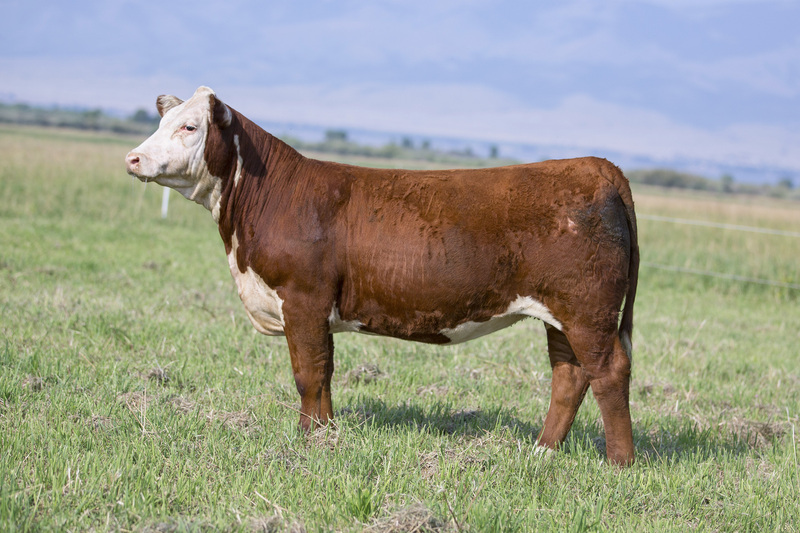 Starting September 14, 2018, you may view the Ehlke Montana Made Female Sale. Text EHLKE to 52182 to receive mobile alerts. Sale closes Horse Race Style at 6:00 PM MST on Saturday, September, 22, 2018. Nicely made daughter of Miles 414 out of a very nicely made 332A daughter. We are really pleased with the 4140 progeny to date. Udder quality and milk flow should be ideal here. 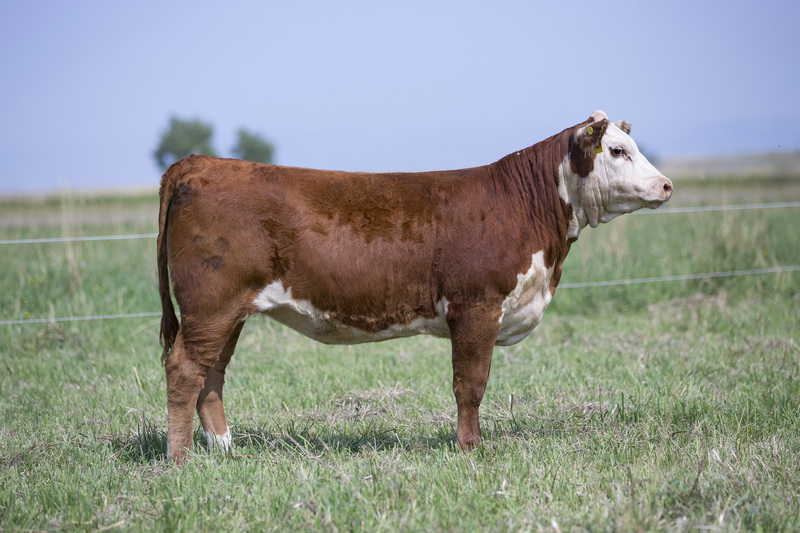 AI’d to E T719 BRAXTON C009 on 5/04; pasture exposed to BAR STAR MAGNITUDE 737 from 6/03 to 7/31; ultrasound indicates safe in calf (heifer) to AI date. The only 337U daughter in this offering. 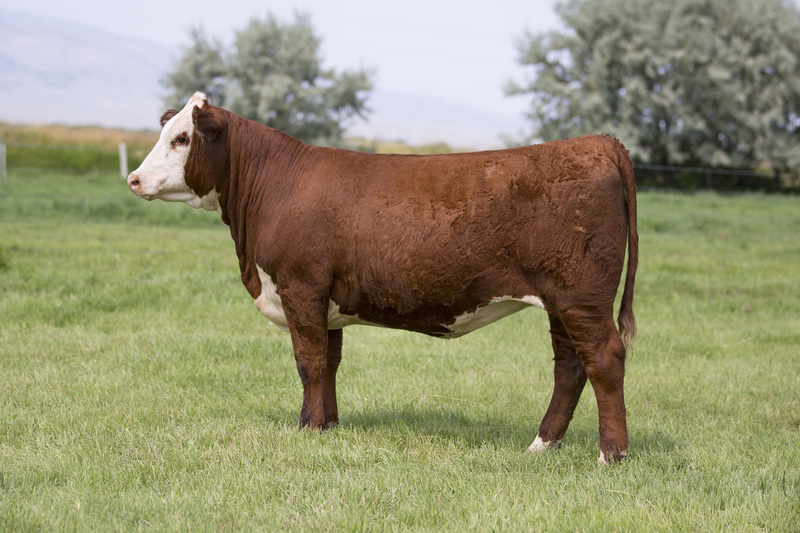 337U is a trait leader for udder quality as well as weaning weight and ranks high for sustained cow fertility. E50 certainly deserves a full appraisal. AI’d to ILR H MILES 4140B ET on 5/05; pasture exposed to BAR STAR MAGNITUDE 737 from 6/03 to 7/31; ultrasound indicates safe in calf to AI date. Dark, short marked 332A daughter that goes back to 9710 and Harvie’s 51F on the bottom side. Cow power bred in here. We can not say enough good things about our 332A daughters in production. AI’d to E T719 BRAXTON C009 on 4/16; pasture exposed to BAR STAR MAGNITUDE 737 from 6/03 to 7/31; ultrasound indicates safe in calf to AI date. 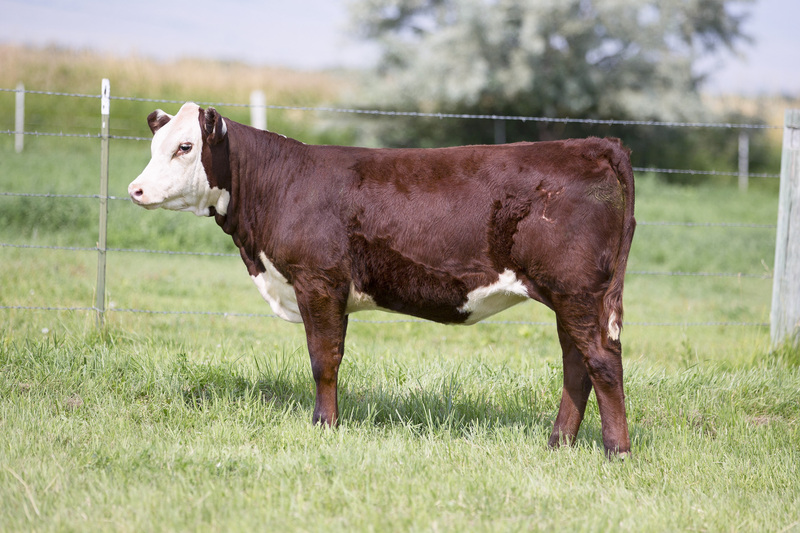 E91 closes out the bred offering in this sale. E91 is bred a bit differently for us on the bottom side. The heifer calf E91 is carrying by Magnitude 737 should be outstanding. 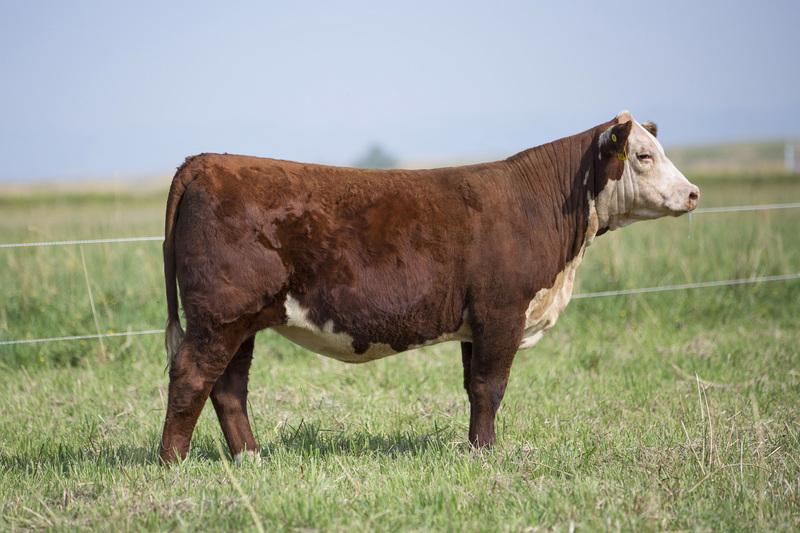 AI’d to CHURCHILL SURE BET 4195B ET on 4/16; pasture exposed to BAR STAR MAGNITUDE 737 from 6/03 to 7/31; ultrasound indicates safe in calf to pasture dates (heifer). E135 starts off the fall born open heifer offering. E135 sure shows off the depth and dimension that Schatzee Z712 brings to bear. 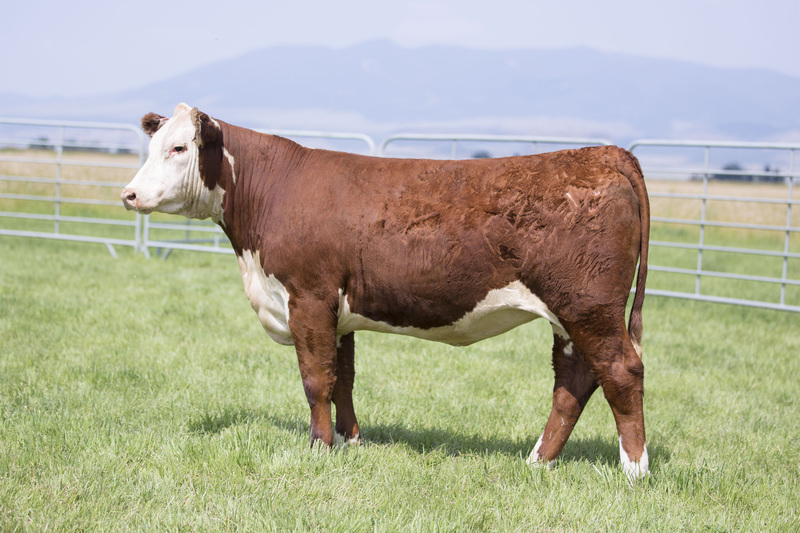 E 121’s dam is a Bayers’ bred female. With the bottom side being Line one, E121 is an outcross for us. E121 sure has the pattern that we like. 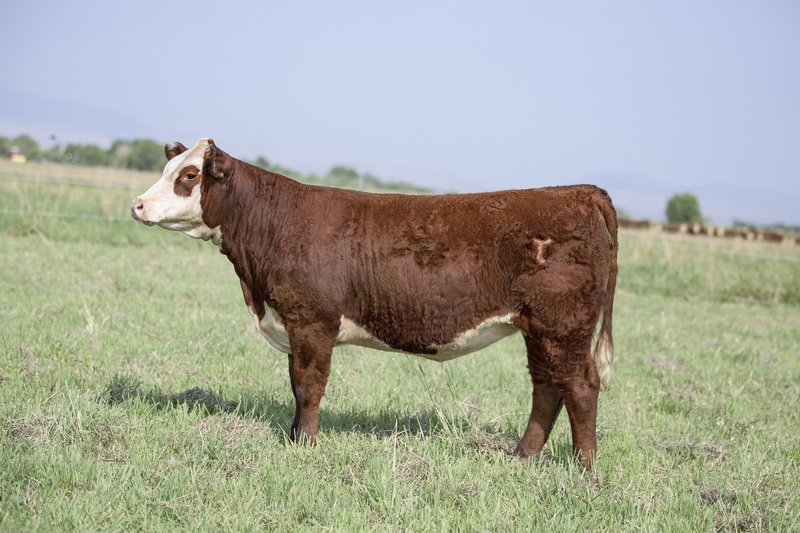 Dark red, short marked, goggle eyed daughter of 332A. 16E is the combination of some very maternal blood lines. Very first individual to sell out of our C039 bull who we own with Iron Lake Ranch. The C039 sire group was the heaviest weaning sire group of our fall 2017 born calves. E141 should mature out to be a special cow. Another standout 332A daughter to close out the open fall yearlings. Being double bred 51F on the bottom side sure won’t hurt E162. Very good prospect. Dark cherry red Gunner 54Z daughter out of a Never Miss 337U bred cow. Very stylish calf here with a great future ahead.